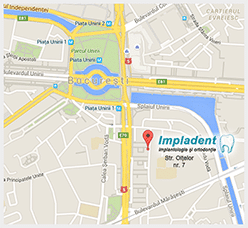 Follow these steps and make sure you do not miss anything when planning your dental trip to Bucharest. To receive personalized information relating to Dental Care in Romania, you can scan your PANORAMIC RADIOGRAPHY, a photographic resolution in jpeg format, and send the image via e-mail. The easiest way to get photos from digital x-rays is to take a picture of X-ray placed on a piece of glass with the light falling on the opposite side. Soon receive a reply with a quote based on our rates inclusive of program work related to your dental care in Romania. SkyRunner – Find Cheap Flights. the panoramic radiograph (20 EUR – free for patients seeking to use any form of treatment). * crowns, bridges only after complete healing are delivered. With credit card / ATM – Visa, MasterCard, etc. 5 years of dental implant treatment (the warranty covers defects of dental materials without the cost of reprocessing in the field of bone and soft tissue – after dental implant therapy these interventions may be necessary due to the unpredictable reaction of the organism).